The legendary bandleader Thelonious Monk was known to leave his piano chair mid-performance and perform impassioned dances on the band stand, because of the sheer joy and freedom the music made him feel. Now, composer-arranger-pianist John Beasley is using Monk’s spontaneous movements and experiences as the basis for conceiving arrangements of Monk’s compositions, that are radical versions of the originals, while still maintaining the joy and freedom contained within the original music. 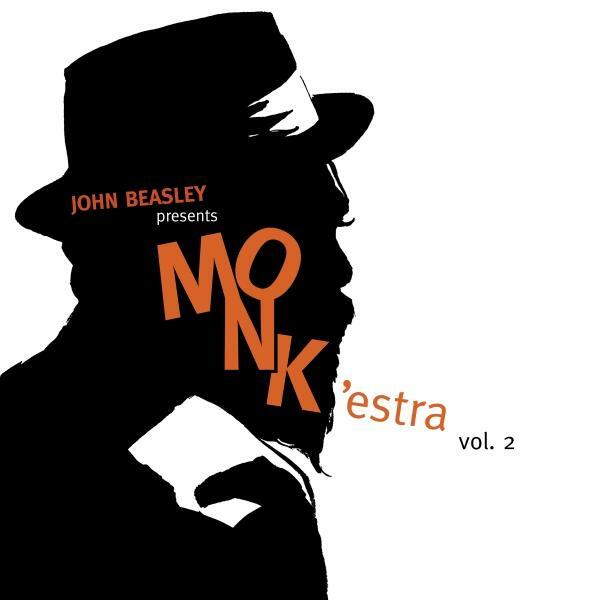 Beasley and his critically acclaimed Big Band have compiled their latest project: MONK’estra, Vol. 2. Available on Mack Avenue records. The Big Band tackles ten Monk tunes, starting with “Brake’s Sake” (feat. Dontae Winslow). A funky hip-hop drum beat begins the tune, followed by compelling counterpoint writing by Beasley. The melody is clear, but the counterpoint and the orchestrated colors that meld into each counterpoint line is striking. The rhythms are exciting, and the band is a well-oiled machine, super clean articulations and snapping hits. Winslow’s rap fits in very well and he speaks to issue that affected Monk and obstacles that are still with us today. “Evidence” is another fine example of how cleanly this Big Band plays. The rhythmic melody is augmented from the first statement and leads us to an up-tempo swing saxophone solo that sizzles. The melody is stated again, but this time more-or-less in the rhythm style we all know. That is when the ability of the band, reveals its salt, to nail the attack and the voicings perfectly in tune. Beasley is on fire with these arrangements, everyone’s solos sparkle, and the rhythm section swings hard. MONK’estra, Vol. 2 picks up right where Vol. 1 left off and brings more of the same excellent quality arrangements by the gifted Beasley. This modern-day treatment of Monk’s music has outstanding arrangements and brilliant execution.